Ms Lola's Styling Foam (2.5 0Z) is newly added to Ms Lola's Exceptional Product line and is the perfect styling aid for human hair wigs. 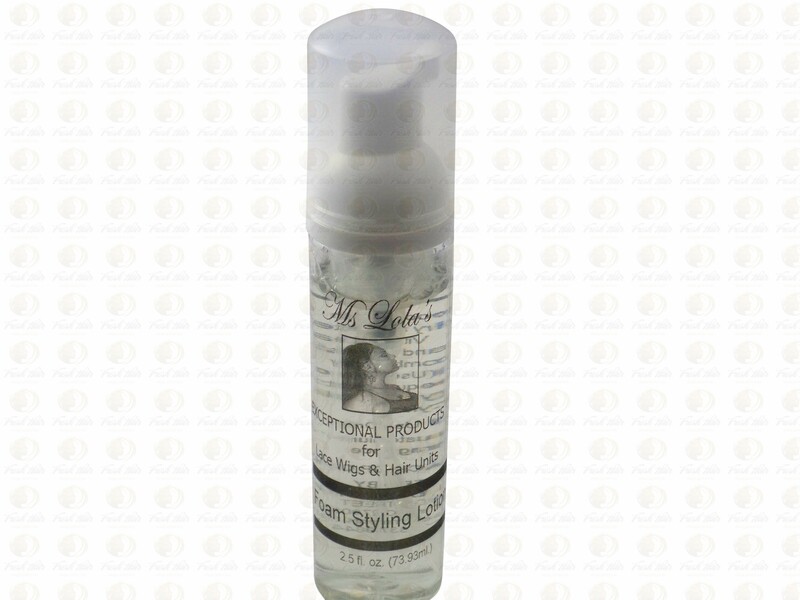 Ms Lola's Styling Foam (2.5 0Z) is newly added to Ms Lola's Exceptional Product line and is the perfect styling aid for human hair wigs. Does not weigh the hair down so rollersets dry quicker to minimize exposure time to heat. Can also be used on the hair prior to blow drying.. Alcohol content is low. Excellent shine enhancer! As an extra service Fresh-hair.com doesn't charge shipping cost for worldwide delivery (from a purchase amount of € 150). Below this amount we charge € 6,75 shipping cost for the Netherlands, € 15 for countries within the European Union and € 25 for countries outside the European Union, whatever payment methode is used and weight and dimensions of the package are. - Available immediatly: The products in this category are available immediatly for shipment and are shipped within 24 hours. - In stock: It usually takes about 1 week before you receive the products in this category. - Custom made: The delivery time of custom made concepts depends on the chosen production time. 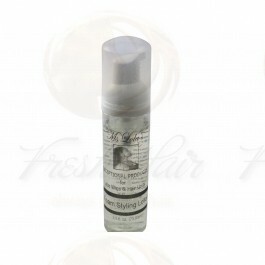 - Hair products: The products in this category are available immediatly for shipment and are shipped within 24 hours. You will always receive a track & trace number so you can follow your order till your front door. The possibilities for our hair systems are very extensive. Even so extensive that it is not all on our website. Do you prefer a different (hair) product that is not found in our shop, do you have other special needs or you have something in mind that you can not find on our website, please contact us to discuss the possibilities.